East Side Collection Reversible Sling Dog Carriers are the perfect combination of convenience and price. New, sizzling color choices add a great look. 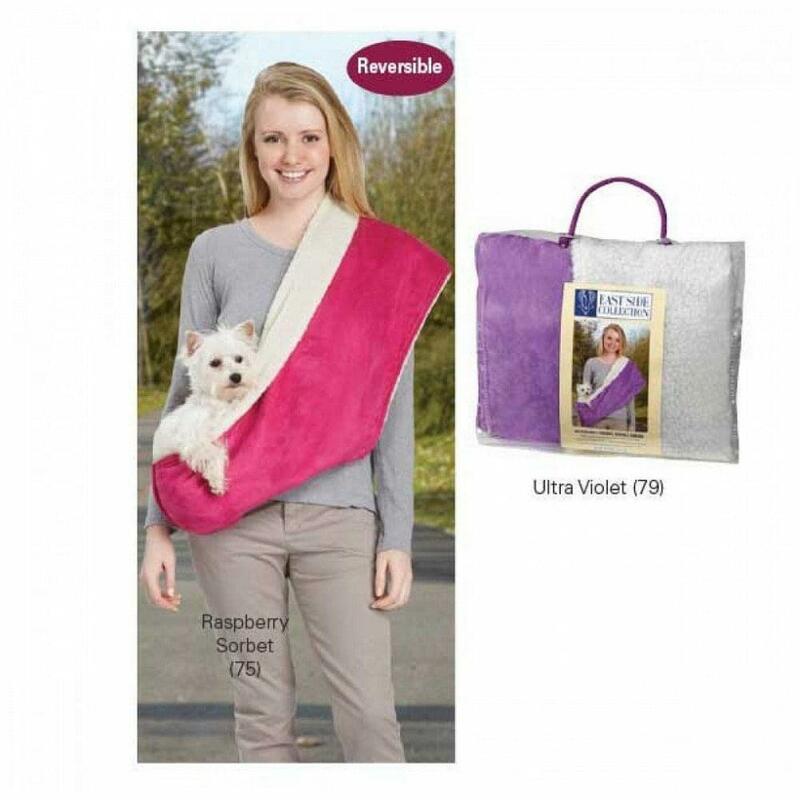 Sling-style carrier loops over one shoulder while the pet rests in the pouch on the opposite hip. Available in Pink & Purple. Pet lovers will adore these Reversible Sling Pet Carriers, now in hot new colors. Sling-style carrier loops over one shoulder while the pet rests in the pouch on the opposite hip to keep pet secure and comfy. The reversible design features one side in black ultra suede and one side in short pile dimple plush.